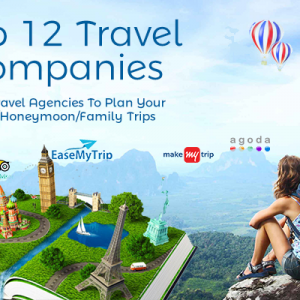 Gone are the days when we would pay huge commissions to travel agents to book tickets for us. The world wide web has made flight bookings so easy, and one can, not just book, but save bucks, pile miles, get cash back and much more by doing a tad bit of research on booking the right flight from the right website. Here we have shortlisted 10 best flight booking sites in India offering deals, flight pricing comparison features and the convenience of booking, all in one. Make My Trip revolutionised the travel industry with its quick and easy online interface offering flights to customers at competitive rates. It allows one to key in the current location and destination, date and displays all the available options with prices ranging from low to high. Cancellation and rescheduling of flights booked on MakeMyTrip are through their own customer care ensuring MMT customers have a one-stop point of contact. Get coupons of Makemytrip on GreatBuyz for your online shopping. Easemytrip offers easy and convenient air ticket bookings with attractive offers for both domestic and international travellers. 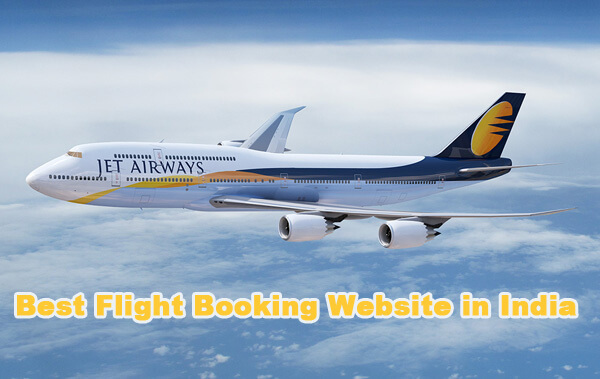 With competitive rates on airfares and ample deals and discounts to grab, the website is focussed on providing a smooth and non-hassle user experience. Get coupons of Easemytrip on GreatBuyz for your online shopping. 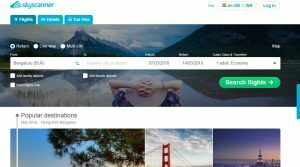 Skyscanner is a travel fare aggregator website and travel metasearch engine based in Edinburgh, Scotland. The website is owned by Ctrip, the largest travel company in China since November 2016, and has some really smart features like selecting your destination to ‘everywhere’ giving you the flexibility to choose a destination based on your dates and deals on offer. It also provides a month view of the costs helping one to plan better. It’s a great website to book your flights for holidays. Goibibo is part of the ibibo Group that also owns India’s No. 1 online Bus ticketing platform, redBus.in and recently launched a carpooling app, “ibibo Ryde”. Known as India’s largest hotels booking engine, it also offers flight bookings and fabulous flight + hotel deals. 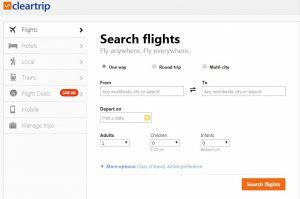 A great website for booking air tickets for business its no-nonsense interface is a pleasure to work around. Get coupons of Goibibo on GreatBuyz for your online shopping. 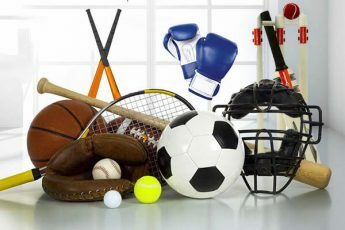 Expedia is an American travel company that owns and operates several international global online travel brands including travel fare aggregator website . Expedia offers over 360 airlines worldwide and strives to be the cheapest and one-stop-shop for all flight booking requirements. Get coupons of Expedia on GreatBuyz for your online shopping. 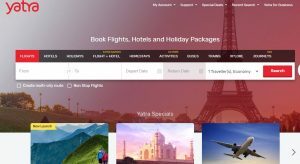 Cleartrip is an Indian online travel company that operates an online travel aggregator website for booking flights and train tickets besides assisting with hotel reservations and holiday packages. 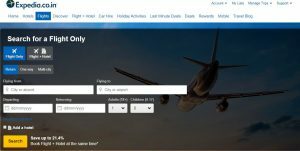 Flight booking is easy on ClearTrip thanks to its detailed filters that allows you to change your preferences even after the flight results are displayed. Get coupons of Cleartrip on GreatBuyz for your online shopping. 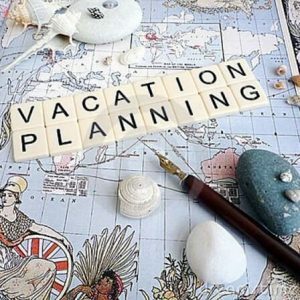 If you are looking to book air tickets at competitive rates and couple the journey with options for hotels or wanting to compare different airline fares, Yatra is the website for you. They offer cheap air tickets for domestic and international travel and a 24×7 customer support. Get coupons of Yatra on GreatBuyz for your online shopping. Via.com formerly known as FlightRaja.com is an online travel portal based in Bengaluru founded on July 25, 2006, in a garage. The company spread to a few hundred cities very quickly and became the market leader for several airlines in a very short span. Today they offer flight bookings across the world and are known for offering fabulous deals and cheap flights along with other services. 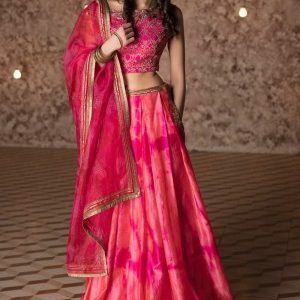 Get coupons of Via on GreatBuyz for your online shopping. Paytm has revolutionised the way we handle transactions and is a massive step towards a cashless economy. It’s easy, safe and widely accepted. And Paytm also offers flight bookings making life all easier for frequent travellers. With cash back and other offers booking through Paytm is a way to save some bucks on airfare. Follow Paytm Streamz on GreatBuyz to stay updated to their latest news, sales,offers and more. Get Paytm coupons on GreatBuyz for your Online Shopping. HappyeasyGo is a flight Comparison website that offers Best Price Guarantee. They guarantee the lowest price on the flight you book, and if you can find a lower price, they refund you 200% of the difference. They also have a referral programme, a 24×7 customer support and an easy to navigate interface making them worth a try. Besides all these flight booking websites there are several other flight rate comparison sites like lowfare that help you compare amidst rates of a particular flight on different websites. So, do your research well before you book your flights. A penny saved is a penny earned.